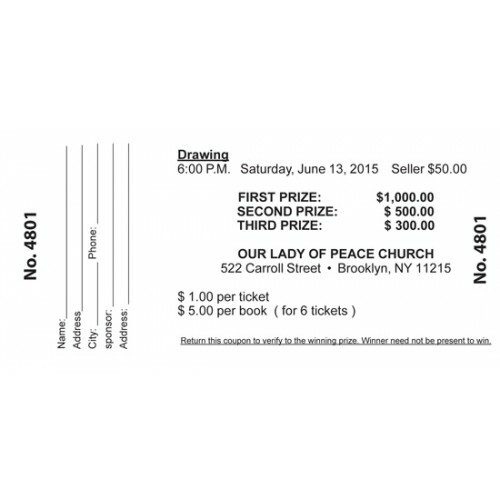 Raffle Ticket 2.75" x 5.5" on 50 lbs. white paper. perforated and numbered at both ends. You can type the information on the option box or you can upload your file with the design ready. We will shipped 24 hours after approval or you can pick up at our location. If you want us to lay out your ticket, type in here your ticket information. If you need your logo on your ticket, please use the "file upload" option below.